I was recently searching for a web-based collaboration platform to quickly exchange models between people from different organizations, and since Autodesk had just release its new flavor of Autodesk 360 website, I gave it a try. 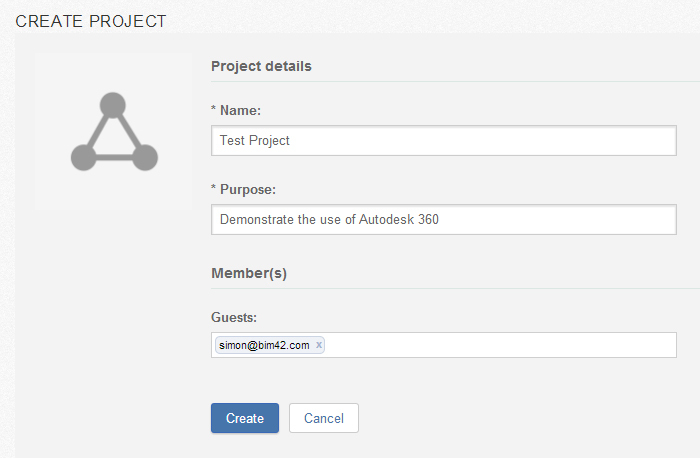 The first impression when logging to the new Autodesk 360 Hub is the integration of social capabilities. Every modification is displayed in a handy timeline for everyone to see. I had some prior experience with the project management tool Basecamp, and I see in this new version of Autodesk 360 some of the features that made Basecamp so successful. 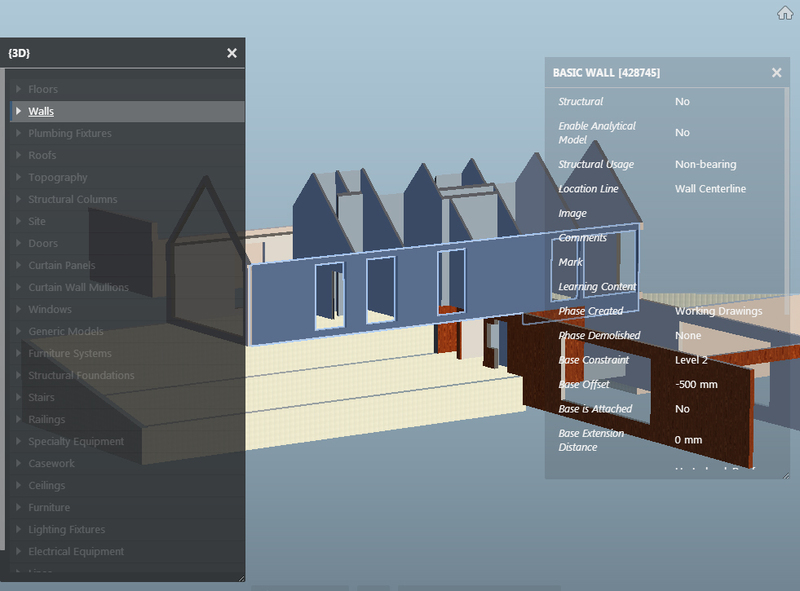 These features, along with the new domain name (autodesk360.com), show the effort of Autodesk for producing a complete web-based solution for reviewing BIM content. 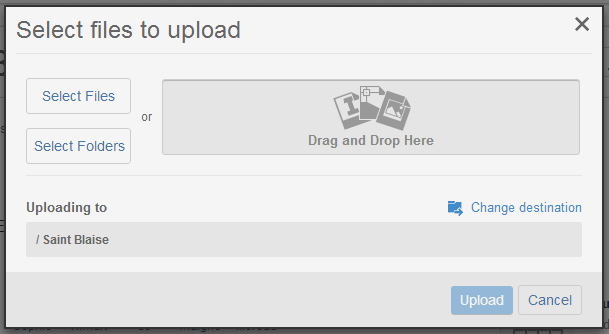 The upload is pretty quick, but the file has to be processed to be visible through your browser. Every members will be able to see and download files uploaded in their project. These model also appear in the timeline for everyone to see or comment them. Once downloaded and processed, the model become visible in the embedded viewer browser. This is where the main feature of Autodesk 360 lies. The 3D model run smoothly, and the whole experience is nearly the same than with a desktop-base viewer. 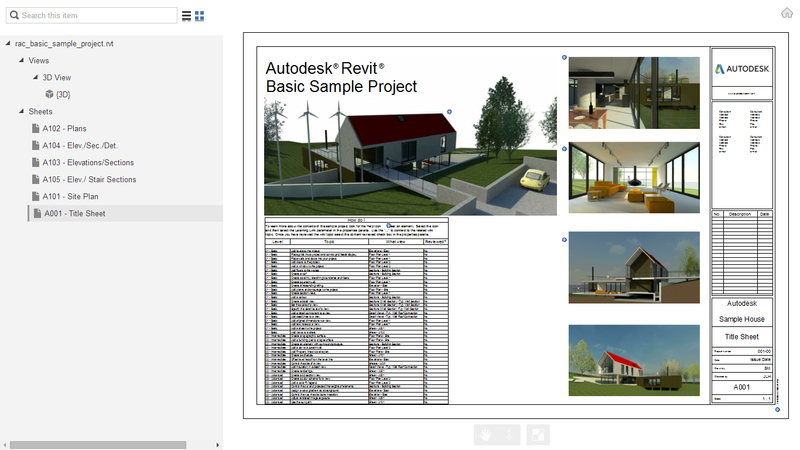 Along with showing the 3D model, Autodesk 360 display every sheet embedded in the uploaded Revit model. My only wish here is to be able to annotate the drawing just like we do in Design Review, but I hope this will be available in a future release. 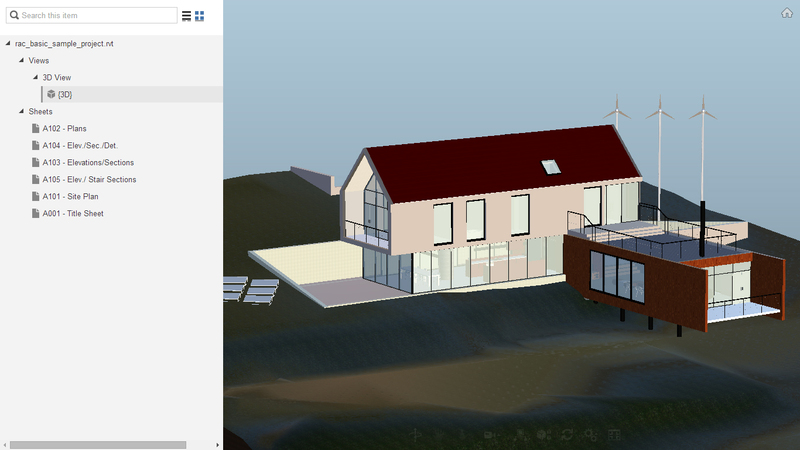 Another nice feature, the 3D viewer allow us to isolate elements by categories and display every elements properties. It’s still miss the ability to create section, and most of it, to be able to download Revit sheets as pdf for an easier reviewing, but I don’t lost hope. During my whole experience, I just encounter one problem, with my model freezing in generating preview mode just after downloading it. On the whole, the new Autodesk 360 come really close to a mature web-based model reviewer, and I see a lot of new applications coming to life, especially for the one who are not spending their days in front of Revit, but still need a quick access to the model.